Mr. Berner advises employers on various human resources issues and a wide variety of matters involving the employment relationship. These issues involve employment discrimination claims under Title VII and other discrimination statutes, claims under the Family and Medical Leave Act (FMLA), wage and hour matters under the FLSA and various state laws, labor relations issues under the various federal and state laws (NLRA, LMRA, and EFCA), health and safety matters involving OSHA and other state laws, reduction in force issues (WARN and OWBPA), and on matters involving a wide range of immigration and nationality issues. Mr. Berner’s immigration practice is concentrated in the areas of business immigration. Mr. Berner works with large and small businesses, universities, health care institutions, physicians, engineers, scientists, artists and entertainers, and other professionals with respect to non-immigrant and immigrant visa matters. He also has expertise in I-9 audits, family immigration, and naturalization matters. 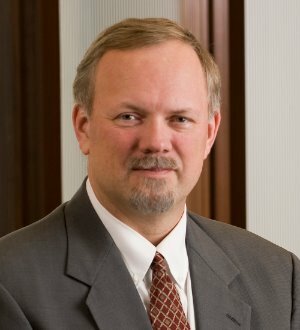 Mr. Berner has represented employers in employment-related disputes in federal and state court, and at various administrative agencies including OSHA, DOL, USCIS, DOS, NLRB, EEOC, and a wide range of state and local agencies. Mr. Berner enjoys Martindale-Hubbell Law Directory’s high "BV" rating for lawyers and is listed in the Best Lawyers of America and Chambers USA as a leading employment attorney in the United States.